This message is for Sunday April 21. There are no games scheduled for this Easter Sunday. We'll see you back on the fields Sunday April 28. If you are interested in playing or volunteering this spring please contact any of the following for information. Springfield Challenger Baseball is a division of West Springfield Little League for players with special needs ages 4-40. We have three divisions: Little Challenger for kids 4-12, Majors for our teenagers and our adult division for payers 19-40. It is managed under West Springfield Little League in cooperation with Central Springfield Little League and South County Little League. We provide a volunteer-based inclusive baseball program with peer buddy support, in a positive, fun atmosphere with role models for age appropriate behavior. Our program builds self-esteem, confidence, acceptance, as well as an opportunity to establish on-going relationships with others. We also provide opportunities to socialize, learn proper cooperative behaviors, sort out problems and work together as part of a team. 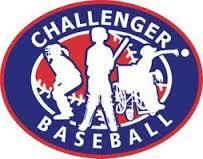 Springfield Challenger Baseball give our kids a sense of belonging outside of the immediate family. Springfield Challenger Baseball maintain an E-mail notification system to keep everyone up-to-date on baseball activities. If you would like a personal message sent directly to your email address to alert you about upcoming events and changes such as game cancellations you can join by clicking the following link and sending an e-mail to Springfield-Challenger+Subscribe@GoogleGroups.Com. Please click the REFRESH icon in your web browser to ensure all the material you are reading is up to date. If you would like to receive our periodic newsletter with updates and upcoming event information, please email Patti with your mailing address and we'll get you the info immediately.